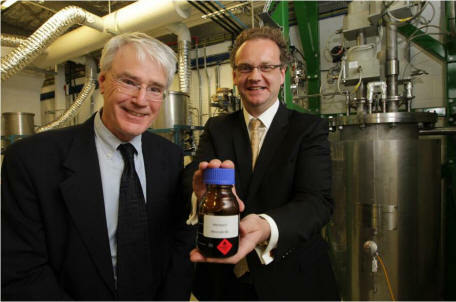 SIEF is supporting Advanced Catalytic Processes for Renewable Chemicals Manufacture. fractions. Further processing, separation and derivatisation of these fractions can result in the production of a range of valuable chemicals. Processing stream) into fine and speciality chemicals. The project is a collaboration between the University of Sydney and CSIRO, which builds on internationally recognised expertise in thermochemical processing, catalysis (both chemical and bio-catalyic), enzymology, chemical engineering, modelling, flow chemistry, separation and purification processes, and polymers and materials science. It is the synergistic combination of the partner’s capabilities, experience and expertise that has enabled the development of the complimentary technologies. streams ranging from wood wastes, algae, bio-solids from e.g. waste water treatment plants and food wastes. Developments that will underpin the growth of the bio-economy in Australia. individual enzymatic reactions into complex, co-ordinated pathways that include co-factor recycling capabilities, (i.e. multi-enzyme ‘molecular machines’). This provides an economical advantage.